File Photo: U.S. Border Patrol/Yuma Sector14 Sep 20182Yuma Sector Border Patrol agents arrested nearly 200 migrants, including families and unaccompanied minors, during a 33-hour period after they illegally crossed from Mexico. The sector has witnessed an increase of more than 100 percent of migrants attempting to make the dangerous trek across the Arizona desert. Between noon on Tuesday and 9 a.m. Wednesday morning, Yuma Station agents arrested 23 groups of illegal immigrants after they crossed the border from Mexico. 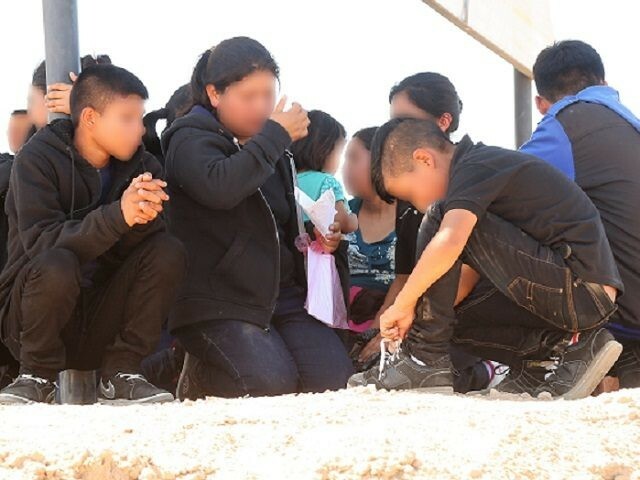 The 23 groups came to the U.S. from seven countries and included Family Unit Aliens (FMUA) and Unaccompanied Alien Children (UAC), according to Yuma Sector Border Patrol officials. The largest cohort came to the U.S. from Guatemala (149). Officials said that 155 persons were in family units while 18 were unaccompanied minors. Despite the dangerous conditions of attempting to enter the U.S. through the Arizona desert, the Yuma Sector reports a more than 100 percent increase in FMUA and UAC apprehensions. Family unit apprehensions jumped from 5,429 in FY2017 year-to-date numbers to 12,367 in FY2018 — an increase of 128 percent, according to the August Southwest Border Migration Report. Similarly, the apprehension of UACs jumped from 2,534 in FY2017 to 5,060 in FY2018 year-to-date numbers — an increase of 100 percent. So far this year, at least 283 migrants died during their attempts to illegally enter the U.S., according to the Missing Migrant Project. At least 79 were in the Arizona desert. Judy and southBronx like this. President Trump has been fairly quiet on this lately. Where's his twitter when we need it? stoptheinvaders, Beezer and JohnDoe2 like this. Nowhere to be found on the immigration problem. Is he even aware we are still being invaded, or does he just not care? Deport them back over the FIRST border they illegally crossed! Get every one of them off our soil. Sort of strange considering he made such a huge deal out of the Central American caravan when it was headed our way. Remember that? Yes, I do remember that. Total silence the first 3 days from Trump and the WH, then he tweeted it was stopped, when it was not stopped. Border Patrol Agents Rescue 33 Undocumented Migrants TX.